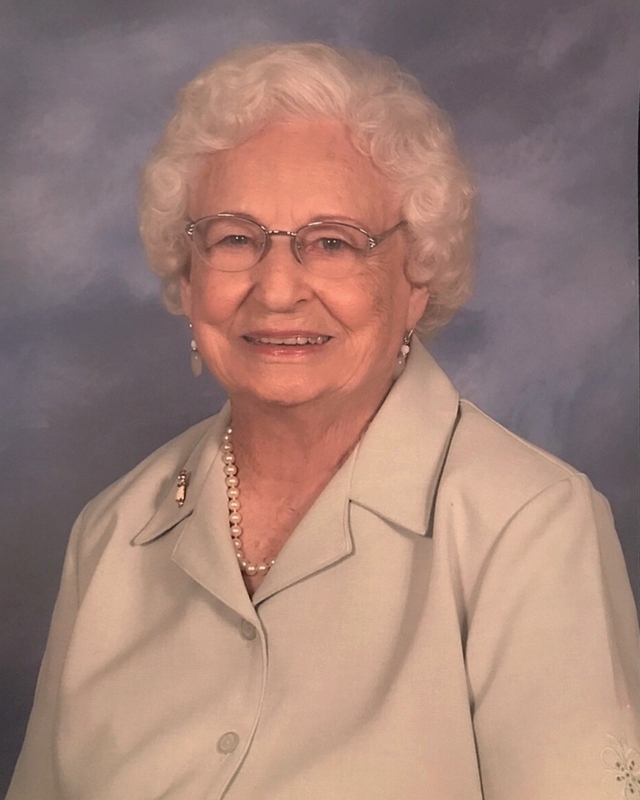 Mary Katherine Simpson Machen, 98, passed away peacefully on February 22, 2019 at the Soddy Daisy Healthcare Center. She was born on June 22, 1920. She was preceded in death by her husband James Machen III; Son Austin Machen, Daughter Linda Stanton & infant Son Dee Richard Cornelius. Her parents Irby Austin Simpson and Ida Elizabeth Heathcock Simpson. She is survived by her Granddaughter Michelle Hatfield & her husband Rick of Soddy Daisy, Tn. Grandson Michael Perrin & his wife Hiromi of Japan. Four Great Grandchildren; Jillian Hatfield, Victor, Kay, & Mary Perrin; great-great grandson Brandon Perrin. As well as a Sister Betty Eads of Cohutta, Ga.
Mary was a member of the Red Hat Society & also was a Red Cross Volunteer. She was a member of the White Oak Baptist Church. Ms. Machen was a very well respected & loved member of the community where she made many friends over the years. Mary will be dearly missed by her surviving family & friends. With a Visitation on Thursday February 28, 2019 5:00 p.m. to 7:00 p.m. Service will be on Friday March 1, 2019 at 2:00 p.m. Officiating is Dr. Tony L. Wilson. There will not be a graveside service. Flowers can be sent to Lane Funeral Home.